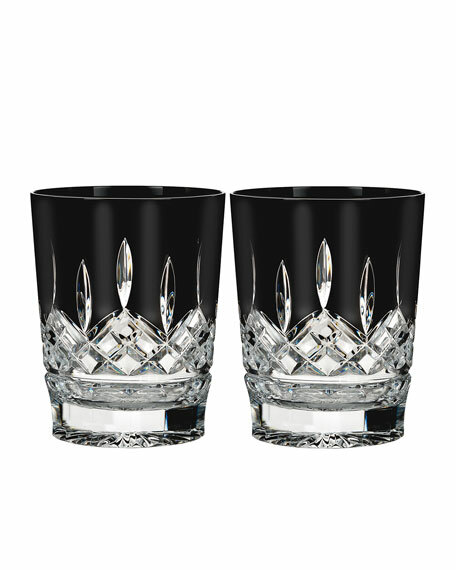 Double old-fashioneds in a contrast of opaque black and clear cut-crystal. Each is 3.5"Dia. x 4.4"T.